Summit Lake Pump House - The Great Lakes Construction Co.
Great Lakes has engaged with the City of Akron, Summit County Metroparks, and Ohio & Erie Canalway Coalition to perform a project for the City as part of our Community Goodwill Program. The project included the demolition of three large pumps, motors, concrete pads and associated piping inside of the Summit Lake Pump Station. 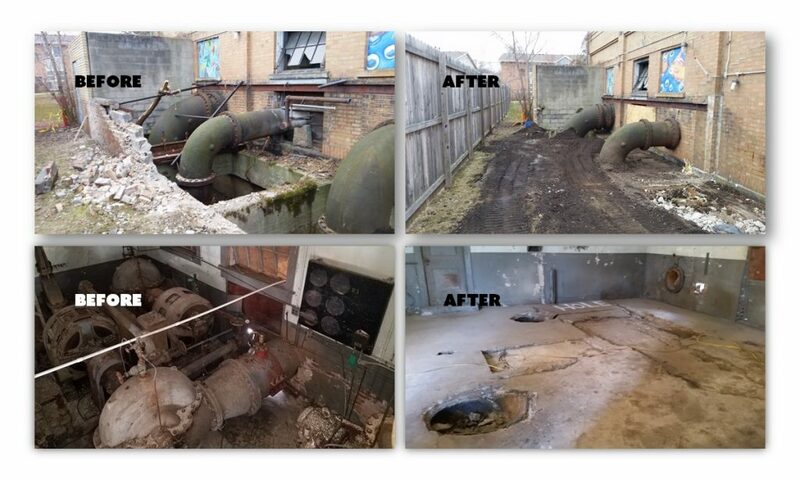 The City intends to transform the historic structure into a community center or other public facility in the future, but in the meantime the removal of the pumps from the structure allows for a clear and safe location for hosting events and activities. The Community Goodwill Program is intended to leave a lasting impression with a group, association, program, church, or school in the communities in which we perform work.